Betaine HCl is added to optimize the absorption of these minerals. Maintain your daily digestive health and optimal intestinal balance with great-tasting Chewable Acidophilus. * Acidophilus supports the growth of beneficial bacteria in the intestinal tract, helps with proper nutrient absorption, assists in the body's nautral digestive process and contributes to healthy immune function. Vitamin D helps maintain healthy bones by stimulating the absorption of calcium in the body. Without it, the body is unable to utilize the calcium supplied via the diet or supplements. Recent research has found correlations between low vitamin D intake and higher rates negative health issues. and support the strong, healthy structure of skin and joints. Vitamin C is intended to provide nutritive support for antioxidant protection and enhanced iron absorption. Vitamin C is also intended to provide nutritive support for healthy tissues, bones, teeth and blood vessels. Echinacea has been used successfully for hundreds of years to support immune health. L-Carnitine is an amino acid help for heart health, liver health, weight loss, and mood support. carrot, parsley, fruits and fruit pectin, safflower, ginger, and fennel. Maintaining brain PS levels has been associated with normal and efficient signaling processes, efficient brain glucose consumption, and other biological pathways that are crucial to ensure normal and healthy cognitive and mental functions. When taken for digestive support, enzymes can optimize nutrient absorption and reduce the amount of gas and bloating that occurs when consuming foods that may be difficult to digest. Additional digestive herbs are added for support. active child needs to stay healthy and grow up strong Calcium provides nutritive support for healthy bones and teeth. Vitamin D is added to help the body in the absorption of the minerals. 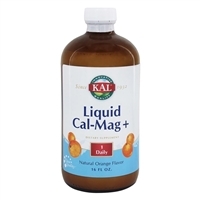 This naturally flavored liquid is synergistically balanced and pre-acidified. Buckthorn fruit. The capsule is gluten free & 100% vegetarian.